Felicitaciones! 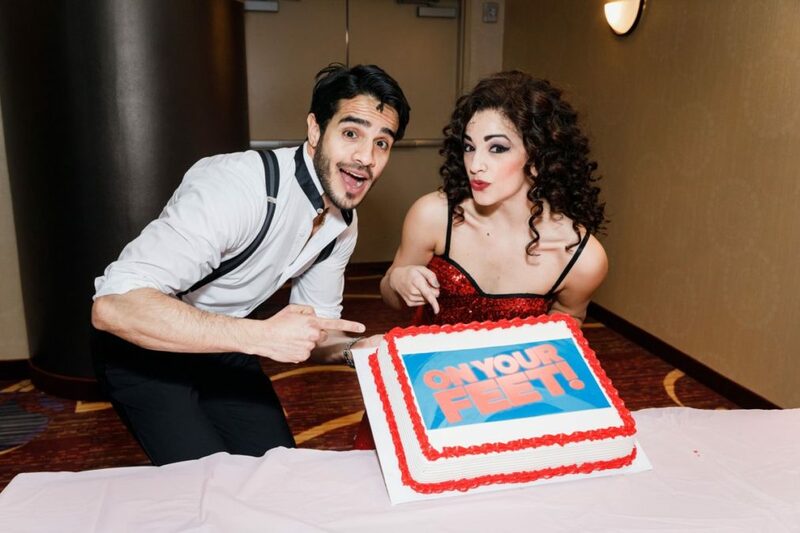 The cast of Broadway's On Your Feet! has been turning the beat around for 500 performances. Headliners Ektor Rivera and Ana Villafañe, director Jerry Mitchell and the cast of the vibrant musical gathered together on January 18 to celebrates the milestone. We've seen On Your Feet! 's dancers work it, former Broadway.com vlogger Ana Villafañe make it happen and hunk Ektor Rivera strike a pose. Here's to many more performances of Gloria and Emilio Estefan's musical. Take a look at our hot shots, and be sure to see On Your Feet! at the Marquis Theatre!